From the Australian National University to the Old Parliament House by bicycle: first toward the lake then crossing it under the spray of the hundred-and-eighty-metre jet commemorating Cook’s first sighting of the east coast of Australia brings us by a long grassy thoroughfare occupied by the Aboriginal Tent Embassy. It was a winter evening, June 2012, and Dipesh Chakrabarty was speaking at the former House of Representatives. For years he had taught at my university, supervising my supervisors, but now he was returning a celebrated professor of history from the University of Chicago, sitting where the prime minister would usually sit at the front bench, with his academic colleagues flanking him in the back, and I behind them, in the dozen wooden chairs once provisioned for the press gallery. That was the first time I heard the term ‘Anthropocene’. I was familiar with climate change, but this was different: a new geological epoch in which the collective actions of human beings drastically and irreversibly altered the ecology, climate, and geological make-up of the planet. For many others, too, it was Chakrabarty who first brought significance of this term to attention. Human beings, he argued, are geological agents, our modes of production and consumption exerting telluric force, the histories of capital and empire becoming entangled with the deep time of the earth’s stratigraphy. With this ‘argument wrapped in a word’ (to use Paul Voosen’s phrase), Chakrabarty carefully articulated the Anthropocene as a difficulty of articulation – a challenge to our very ways of speaking, thinking and imagining, to our enduring cultural assumptions and sense of normalcy, and to the ubiquitous pronoun we, the species. Of that which could be said about the Anthropocene, perhaps the most unavoidable for those in the arts and humanities is the recurrent need and failure to fathom it from within our inherited ways of making sense of the world. For even with an emerging consensus as to its scientific meaning, the frequent complaint of scientists is that the point lies not here, with the science, but elsewhere – in politics, economics, literature, activism. A scientific term, then, but only in the extra-scientific can we hope to grapple with its true meaning and consequence. The scene that evening in Canberra was one such attempt. One way to approach the Anthropocene’s interruption of our settled ontologies is to take it as a new movement of a process detailed by Adorno and Horkheimer in The Dialectic of Enlightenment. Given how much recent theoretical thinking has been devoted to these subjects – in philosophy alone, New Materialism, Object Oriented Ontology (OOO), Speculative Realism, and Analytic environmental philosophy – returning to this book written in the darkest days of the Second World War may seem a quaint task. But nowhere is the relationship between what could loosely be thought of as science and narrative as compellingly articulated as in Adorno and Horkheimer’s depiction of myth and Enlightenment. ‘Myth,’ in their famous formulation, ‘is already enlightenment,’ just as ‘enlightenment reverts to mythology.’ While the Enlightenment presents itself as the process of overcoming our mythic modes of relating to the world and to each other, it is only through the assumption of another, more persistent myth of scientific mastery that the Enlightenment can gain the self-assurance it needs to achieve its proverbial conquest of darkness. Yet, in the present moment, with the Anthropocene’s undoing of this mastery, we are witnessing a renewed attention to the importance of something like ‘myth’ – that is, in some contemporary discussions, the power of ‘story’. To put it somewhat crudely, the dynamics that, for sociology at least, are the wellsprings of modernity – capital and scientific rationality – can no longer be seen as mutually reinforcing, but as plunged into antagonism. Far from only furnishing capital with the technological means to continuously exploit labour and the natural world, science now inadvertently exposes the consequences of this exploitation: the externalities of capitalist production and the finitude of the human world that capital’s perennial want of growth neglects. In a sense, modernity is unravelling before our eyes. One compelling feature of Adorno and Horkheimer’s diagnosis stems from the fact that they marry two distinct strands in critical philosophy. On the one hand, there is (to rework Richard Bernstein) the tradition concerning injustice, thematised by Marx as the capitalist exploitation of labour, and, on the other, the crisis of meaning, discussed in various ways in existentialism and phenomenology. In The Dialectic of Enlightenment, both these problems are connected in what Adorno and Horkheimer term ‘reification’: the instrumental, means-ends rationality employed in the sciences that has come to dominate our social relations and the natural world, giving rise to a condition that is as impoverished and drained of meaning as it is oppressive and unjust. While the Frankfurt School harboured a certain suspicion for the detached observation of science, in our own time both the crisis and a broader awareness of its scale have their roots in this same rationality. This complicates contemporary thinking, for we rely upon a certain confidence in the rationality of science, in what the Anthropocene Working Group voted to accept as our current geological epoch on 29 August 2016 at the International Geological Congress. Today, we might say that the question of justice and meaning are intertwined in a slightly different sense. The question of how to make sense of the world is central to finding justice on a changing planet, and while scientific rationality can produce an awareness of the crisis, it cannot, on its own terms at least, solve or compel its resolution. For that task, some now insist, we must turn to ‘story’. It is these questions that, with great lucidity and vim, are the subject of the Indian novelist and essayist Amitav Ghosh’s recent book The Great Derangement: Climate Change and the Unthinkable. He considers these questions, above all, by analysing our culturally privileged forms of imagining, like literary fiction. But the problem he identifies might already be apparent in his choice of form. Originally a series of lectures delivered at the University of Chicago in the company of Chakrabarty, this book is Ghosh’s first work of nonfiction since In An Antique Land, more than two decades ago. 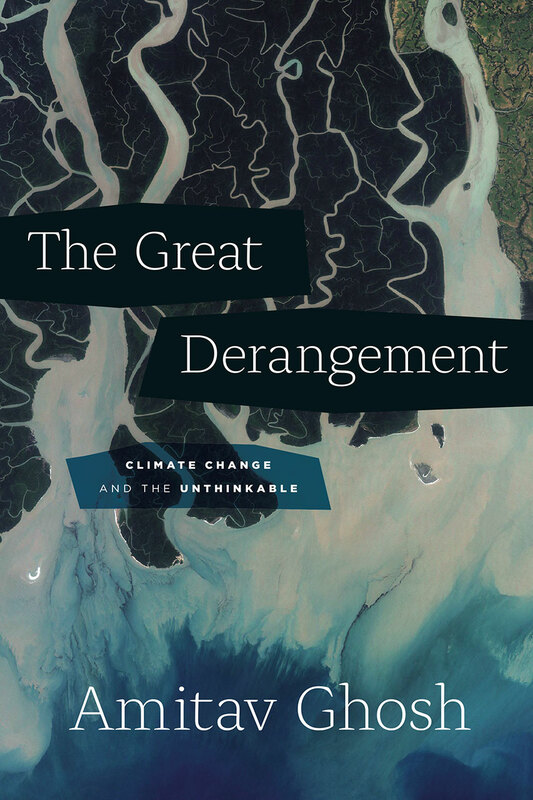 That an acclaimed and engaged novelist, long concerned with climate change, should turn to nonfiction to wrestle with the climate crisis points to the ‘unthinkable’ of Ghosh’s subtitle. The climate crisis, he notes, ‘casts a much smaller shadow within the landscape of literary fiction than it does even within the public arena […]. It is when I try to think of writers whose imaginative work has communicated a more specific sense of the accelerating changes in our environment I find myself at a loss.’ Nonfiction writing – academic, journalistic, and in new hybrid forms – is the vanguard in this respect. As for literary fiction, some writers – Ghosh cites Margaret Atwood, Cormac McCarthy, Doris Lessing, and Barbara Kingslover, but in Australia we might include Alexis Wright and James Bradley – have found a place to dwell on these problems, but they remain a minority, an exception that brings the norm into stark relief. The situation, I think, has changed somewhat since 2005, when Robert Macfarlane asked in the similar vein: ‘Where are the novels, the plays, the poems, the songs, the libretti, of this massive contemporary anxiety?’ So, too, has our ability to reread and rethink the significance of past works, like Franz Kafka’s short story on ‘Odradek’ or Juan Ramón Jiménez’s​ Platero y yo. Yet, the fact still remains that fiction which deals directly with climate change, that speculates on possible futures or aspires to present the non-human, courts, in Ghosh’s words, ‘eviction from the mansion in which serious fiction has long been in residence; […] banishment to […] those generic outhouses that were once known by names such as ‘the Gothic’, ‘the romance’, or ‘the melodrama’, and have now come to be called ‘fantasy’, ‘horror’, and ‘science fiction’. So what does this say about the mansion of fiction and the foundations upon which it is built? For one, it could reflect a certain bias in Ghosh’s approach to fiction, his ‘inexplicable attachment to the bourgeois novel,’ as McKenzie Wark puts it. But this tenacious attachment also leads Ghosh to a more audacious thesis – what he calls the ‘crisis of culture, and thus of the imagination’. To the retrospective gaze, he conjectures, our present moment could only be seen as though it in the grip of a ‘Great Derangement’ – and for this not just politicians, but artists and writers will be held to account. The failure of literary fiction, one of the few mediums in which it is possible to think possibilities, thus reveals, more than anything, the unthinkability of the crisis. ‘The unthinkable,’ as Hatian anthropologist, Michel-Rolph Trouillot writes, ‘is that which one cannot conceive within the range of possible alternatives, that which perverts all answers because it defies the terms under which the questions are phrased.’ In present terms – even those with wide appeal like the ‘Anthropocene’ – we are witnessing this defiance. Words buckle under the unthinkability of the crisis. It is as though the Anthropocene is itself a ‘sly critic,’ Ghosh suggests, laughing at our misguided efforts to comprehend. Admittedly, even this term, the ‘Anthropocene’, with its foregrounding the human as a biological collectivity, conceals as much, if not more, than it reveals. Why not, as Jason Moore has advocated, the ‘Capitalocene’, thus foregrounding the role of capitalism in precipitating the crisis? Or indeed, one of the many other neologisms: the Misanthropocene, the Anthrobscene, the Eremocene, the Manthropocene, etc. If there is weariness in this etc. it is because such restless punning risks, as Macfarlane has remarked, turning the Anthropocene into the ‘Anthropomeme’; the jocular novelty of the lexicon trivialising the gravity of its referent. An aesthetics originating from the orbit of bourgeois probabilities could not be less suited to the present, when the extreme is increasingly probable – when terms like ‘extreme’ and ‘probable’ demand recalibration. Ghosh recalls in his opening chapter an episode he could not, for all his efforts, mine for fiction. On the afternoon of 17 March 1978, he narrowly escaped being killed in a rogue tornado that tore through northern Delhi. The problem, as he points out, is that: ‘Within the pages of a novel an event that is only slightly improbable in real life […] may seem wildly unlikely: the writer will have to work hard to make it appear persuasive.’ For fiction written in the Anthropocene, the occlusion of this sort of improbability amounts to silence and concealment. It is a failure to find a compelling literary register to present disasters that are not improbable at all, but taking place around us now with mounting frequency and force. Ghosh’s achievement is that he further traces the ramifications of bourgeois normality through to history and politics. He points out that this same sense of probability fed into the practice of empire; a conviction coded in the founding of cities like Mumbai (Bombay), Chennai (Madras), New York, Singapore, Kolkata (Calcutta), and Hong Kong on the ocean, rather than, like many cities founded in the pre-colonial era, in the shelter of rivers, bays, and estuaries. Imperialism and its geographies are, he maintains, the missing component in many analyses of the climate crisis, even in those accounts, such as Naomi Klein’s This Changes Everything: Capitalism vs. The Climate, which place the structural drives of climate change at the centre. To understand colonialism, a Marxist analysis must be ‘stretched,’ as Frantz Fanon avers in Les Damnés de la Terre, for ‘the economic infrastructure is also a superstructure.’ Culture is not merely epiphenomena or consequence, but also cause. These musings pave the way for an intervention into the contemporary debates of climate politics. One of the book’s most moving passages recalls a conversation Ghosh had with his mother, who lives in an area that, like much of Kolkata, is at increasing risk of flooding. Climate change threatens to displace an estimated 50 million people in India and 75 million in Bangladesh, with the Bengal Delta and Sundarbans – the coiling rivers depicted from above on the book’s cover, a blue-green abstraction, soil shifting into sea – being sites of exceptional vulnerability. ‘After much thought I decided to talk to my mother about moving,’ Ghosh writes. ‘I tried to introduce the subject tactfully, but it made little difference: she looked at me as though I had lost my mind. It was a fine day, cool and sunlit; I dropped the subject.’ I imagine today many such conversations are taking place. And the silence that settles between Ghosh and his mother is the same silence of literary fiction, the silence before something unthinkable. This is one of the things that makes the problem wicked for Ghosh – that it climate change should occur through the structural, implicit violence of the everyday; through what Rob Nixon calls ‘slow violence’. ‘A hundred years ago, imperial power celebrated itself with parades, reviews, durbars,’ Ghosh writes in a response to some early reviews of The Great Derangement. ‘Today empire manifests itself instead as an everyday reality, something that undergirds the scaffolding of the world to such a degree that it is no longer distinguishable as power at all.’ This translates into a startling problem in politics, largely neglected in current policy and debate: to accept the ramifications of the climate crisis and to wish to ameliorate them would necessitate a radical redistribution of global power. Unsurprisingly, the attitude of powerful countries to this possibility has led to the rise of what Christian Parenti calls ‘the politics of the armed lifeboat’. In Australia’s cruel and barbaric offshore refugee detention camps, for instance, we witness the beginnings of such a politics. On this point, Chakrabarty has been much maligned for his remarks in his essay, ‘The Climate of History’, where he claims that ultimately there are ‘no lifeboats for the rich and the privileged.’ That this is not the case is something that Daniel Hartley, for instance, reminds us in the UK quarterly Salvage. Many critics warn that the unequal adaptive capacity of the rich could lead to a situation of ‘eco-apartheid’. Yet, perhaps there is a deeper truth to Chakrabarty’s point when considered from another, less immediate vantage. As Ghosh puts it: ‘The Anthropocene has reversed the temporal order of modernity: those at the margins are now the first to experience the future that awaits all of us.’ From that perspective, to survive on a lifeboat is to survive in only the most wretched and debased of forms. For a similar reason, Ghosh views some strains of environmental activism warily. In particular, he recognises an isomorphism between confessional, ‘baring-of-the-soul’ modes of literature – his example is Karl Ove Knausgaard – and climate activism that focus on the moral question of personal sacrifice. (At times like this, Ghosh’s brush is too broad for me. Precisely how, I want to know, does he think contemporary autofiction politically suspect? Must we really be so sweeping and didactic?) Both, he asserts, are ensnared within an individualising logic, one moored to questions of authenticity and sincerity. The result is that environmental actions become implicitly what Nietzsche calls the ‘ascetic ideal’; a regime of personal austerity that aims to purify the self through denial; to live a good life isolated from worldly debasement. Yet, no such individually oriented political project – even when situated within the rhetoric of ‘think globally act locally’ – can amount to anything more than an increase in the efficiency of a system itself set toward perpetual growth. I sometimes recall a time in Montréal, when a friend and I used to dumpster-dive from a bin on Rue Saint-Dominique, where a Portuguese bakery would, with a strange and insistent precision, dispose of the same number of pastries and baguettes every evening. Back at my friend’s place, breaking indurate bread, he would hone his arguments: in this city (a gesture with the baguette to the street) there are vast amounts of food rotting in bins. We must do whatever we can (a gesture to us) to change it, however small our actions. For a time, in our modest way, we reduced our waste, and the global economy continued its inexorable expansion. An alternative, though Ghosh only gestures to it in his closing pages, could be something more like what the Adorno and Horkheimer call immanent critique. The word critique and the word crisis both originate from the same term: the ancient Greek, κρίσις from the verb κρίνω, meaning ‘to divide,’ ‘to decide,’ ‘to judge.’ Even in contemporary speech, something of this connection is preserved, as in the medical phrase ‘to be in a critical condition’. For the Greeks, it meant something like passing a judgement in light of a conflictual event. Only later did the subjective sense of judgement formation, critique, become distinguished from the objective sense of an antagonistic process, crisis. In an immanent critique these two meanings remain entwined: possibility emerges from the contradicting tendencies in social reality; critique is bound intimately to crisis. In this sense, the task is not to marshal a critique from the aloof position of false moral purity, with the critic sitting, as Marx once wrote, ‘enthroned in sublime solitude, with nothing but an occasional roar of sarcastic laughter from its Olympian lips.’ To do so would be to have what Marx called a ‘completely uncritical attitude to the method of criticism.’ Critique itself must be drawn from the antagonisms in our current situation: the tensions between the good life we would ideally pursue and the bad life in which we are inescapably, though unequally, implicated. The Great Derangement, to my mind, approaches such a task of rejuvenating possibilities negatively. It does not, to again quote the young Marx, ‘confront the world with new doctrinaire principles and proclaim: Here is the truth, on your knees before it!’ It begins with the long, difficult process of drawing out the principles that already confront us in the crisis of the Anthropocene. If I here cite the young Marx it is because, like Ghosh, he understood that the point is not to lay out a program for a new literature in and of the present, or a new philosophy with ingenious answers to emerging ontological dilemmas, or still less a new activism. A critique that deserves the name is one that unthinks the unthinking suppositions that have brought us to the present crisis and, by so doing, aims to make the previously unthinkable thinkable. By this I mean the kind of ‘ruthless critique of everything existing’ envisaged by the young Marx opens a space for possible literatures, for a philosophy answerable to crisis, and an activism that is not merely active or reactive, but attuned to building difficult solidarities in the spirit of Aimé Césaire’s Cahier d’un retour au pays natal, where ‘there is a place for all at the rendezvous of victory.’ It is in that sense that Ghosh’s project, like Marx’s, is ‘worldly’ – it doesn’t tell us what to think, or writers what to write, but views us as already in dialogue with the world. The Anthropocene is not just Ghosh’s ‘sly critic,’ laughing on our folly. It can be an interlocutor for a worldly politics, history, and literature. While writing in a small town in the Netherlands, I encountered several images of a bushfire ablaze near Queanbeyan, Australia; a place not unlike, and not distant from, the suburbs where I grew up. It is sometimes said that there is an anonymity to the Australian suburb – any suburb for that matter – which can cast the uncanny on what happens there, making it seem a possible on your close or crescent. The green plastic bins overturned, their contents, refuse of daily life, spilling onto the empty street against the backlit black of smoke, the heat distorting the camera’s scrutiny, and that feeling that I remember from the fires that ravaged Canberra in 2003, fires that Chakrabarty recalled as he opened his talk on the Anthropocene at Old Parliament House. 2016 was the hottest year on record in Australia after 2015, the hottest year on record after 2014. (Since I wrote this piece, 2017 intervened, Australia’s third hottest year on record. Our ten hottest years have occurred since 2005). It makes no sense to call extremes extremes anymore as they cross the threshold to the normal. But this new normal is not only a normal of statistical models. It is our shifting sense of normality, the changing envelope of the familiar. Likewise, it is what we normalise, and in that sense the only ground for normativity, from which we gain a sense of a life worth living. To attempt alone to live a normal life under non-normal conditions is, to paraphrase Mahmoud Darwish, a hopeless heroism. And this raises the question of whether a good life is possible in what Ghosh calls the Great Derangement. I would like to think so. But I suspect such a possibility could only exist in the striving – be it by literary or other means – for a good life that is an enduring possibility for all. Louis Klee is a writer. 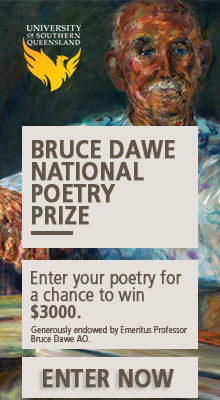 He grew up in Canberra, on Ngunnawal land. Thing too about stories is that they come to an end. Nice to think and dream of living happily ever after, but it ain’t gonna be that way. We know we’re all gonna die individual deaths, whether dialectic or undialectic, and even that seems difficult to face on the face of bodily evidence, what with medical science and pills etc., even too if we do manage to turn off the death gene. As to facing up to a total collective undialectic planetary death of our own making, well … to avoid such a seeming inevitability, maybe allowing our selves to master the non-mastery of the planet / universe might be a good start to a new story, if the end doesn’t get here before such a new genre begins. Perhaps it is worth considering the role myth might play in respect of the anthropocene, particularly as the above article suggests “we are witnessing a renewed attention to the importance of something like ‘myth’ – that is, in some contemporary discussions, the power of ‘story’”. I’m by no means full bottle on this sort of stuff, and quite likely to get myself into hot water here on many accounts, however, I’m sold more on myth than story, and sticking with that, the main problem with myth as a possible global saviour being that it would need to be a global myth cycle. That aside, it is worth considering Australian Indigenous cosmology and ontology, and the part myth plays there, particularly in respect of autochthony, where, if you are born of the earth you attend to and look after your particular ‘country’, your piece of the whole, and where language, law and myth embody supreme realities, which, if lost, will certainly mean spiritual and cultural demise. Since white settlement of this country the contrary has been the case, the earth being seen as passive material ripe for exploitation, and so destruction, because lacking attendants myths such as those of indigenous inhabitants going back countless thousands of years, where myth is used to separate the quotidian from the Dreaming, so allowing imagination to be universal, its mythic truths embodied in country through language, law and culture allowing an ongoing preservation of country, which is all in such a myth cycle. NB: I am not associated in any way with the DMP, but I am a grateful reader of their prose, and it has helped me come to terms with the Anthropocene. In response to the individualising logic I suspect we need a new collectivising logic that (re)imagines the needs of human expression and our position within the web of life. This is the paradox of globalisation. It sates our appetite for authenticity through a consumptive expression that in fact cocoons us, while at the global level it just dishes out horror. Globalisation has imposed on the collective the worst impulses of the individualising tendancy.